The business environment is becoming increasingly globalized. As 2019 gets underway, there are a number of international trends changing the marketplace and presenting some challenges for conducting business on the world stage. Savvy accountants will stay focused on these trends and ensure their company or client business properly understands the cross-border implications they’re facing. Here are five key areas for accountants to keep an eye on. Technology continues to transform the global business marketplace, and one of the big trends in 2018 was blockchain and cryptocurrencies. The accounting industry is playing a role in turning these technologies into business tools. The Big Four accounting firms, for example, are at the forefront of making blockchain work. Together the four firms share a distributed, highly secure network where participants can see and update information in real time. It’s easy to see why these technologies are generating such interest. The benefits are widespread: greater transparency and security, along with enhanced accuracy, real-time collaboration, and faster results. When it comes to cryptocurrencies, some accounting firms are taking steps to differentiate themselves by infusing their practices with expertise. Sure, Bitcoin values dwindled in 2018, but many believe cryptocurrencies have plenty of fight left. Whatever the future holds for cryptocurrencies, it behooves every accounting professional to understand these commodities and how they work. Indeed, accountants and tax professionals who familiarize themselves with blockchain, cryptocurrencies, and related tax regulations may hack into a niche practice area. Now is the time to start learning. In its 2018 Finance Trends Survey Report, global consulting firm Protiviti found that 71% of respondents and 75% of CFOs identified cybersecurity as one of their biggest concerns for 2019. Similarly, in a 2017 survey of 183 small accounting practices, almost two-thirds said they were concerned about data security in the cloud. Many respondents also noted that their firms do not enforce basic cybersecurity measures such as two-factor authentication and requiring strong passwords. These concerns are only going to get bigger as accounting firms handle commercial, financial and personal data sets that are growing in complexity, volume and sensitivity. And with much of that data being held in cloud accounting software, there is a huge opportunity for better cybersecurity education and enforcement. A related concern among CFOs and financial leaders is data privacy. Their concerns are justified, as 2018 saw a significant number of high-profile data breaches. In April, luxury department stores Saks Fifth Avenue and Lord & Taylor reported five million records breached. Both retailers faced legal battles over the incidents. While accounting firms must take precautions to protect the data they hold, accountants must also understand the regulatory side of this issue, including the new regulations introduced by the European Union (EU) and China. The EU’s General Data Protection Regulation (GDPR) took effect in 2018 and the rule casts a wide net. A company needn’t be located in the EU to be affected by the law. If you’re holding data on an EU individual, including a customer, prospect, employee or partner, then you must comply with the regulation. At the same time, the China Internet Security Law, commonly called “the Cybersecurity Law,” establishes a broad framework of nearly 300 national standards ranging from information and communications technology (ICT) services to software, routers, switches, and firewalls. Client companies with any type of presence in China are almost certainly affected by the rule. Looking ahead, California’s draft Consumer Privacy Act (CPA) is scheduled to take effect in 2020; accounting professionals would be wise to look into the implications of this act in the coming months. Artificial intelligence (AI) and analytics are disruptive trends in all industries. In the accounting field, there’s even talk of robo-accountants displacing CPAs. As we move into 2019 and beyond, there will be pressure on accountants to get a handle on the science of big data. What can big data analytics tell us about trends, practices, markets, and strategies? It may seem like overkill to dive deep into new technologies, but remember: the accounting profession may eventually find itself competing with robots. As demand for basic accounting services diminishes, companies of all sizes will still appreciate the insights offered by these analytic capabilities. In the US, the 2018 Tax Cuts and Jobs Act (TCJA) authorized the IRS to crack down on itemized deductions, among other changes. They need the money, so expect them to enforce this rule! In the UK, Her Majesty’s services are pushing out their Making Tax Digital (MTD) initiative. These rules will eliminate the once-a-year tax return in favor of quarterly occurrences, as well as set out a vision for a “transformed tax system” by 2020. Consequently, accountants working with clients who have offices in the US or UK must stay abreast of these changing laws. In many ways, globalization is still in its infancy. In 2019 and beyond, the accounting profession will continue to develop a global perspective by adding expertise, technologies, and in some cases, foreign offices. 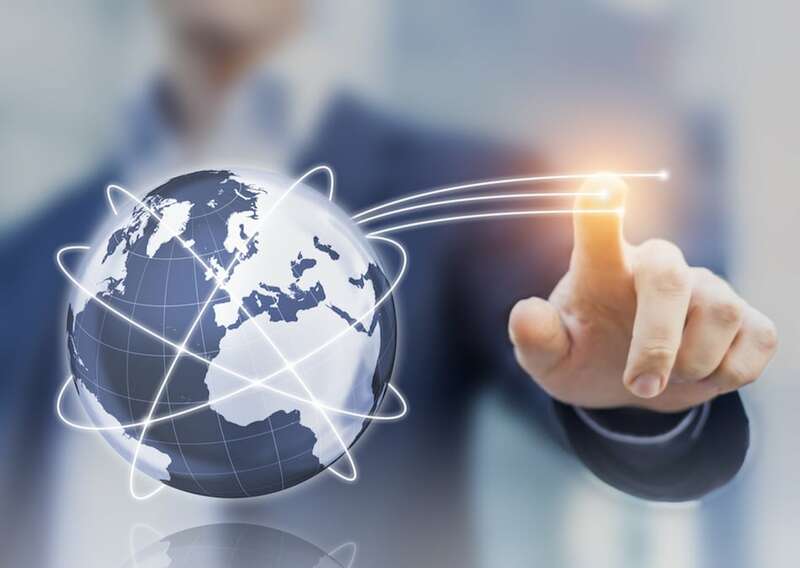 As companies continue pursuing opportunities across borders, accountants must continue learning about new trends and finding ways to leverage them for a competitive advantage in the international marketplace. At the same time, accounting professionals who want to expand their horizons must ensure they have their basics covered. And when it comes to client relationship management, there’s a natural starting point: a CRM designed for accountants. 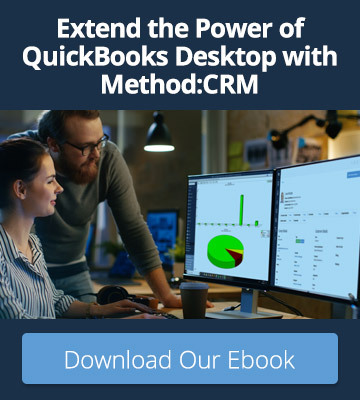 Method:CRM has a seamless two-way sync with QuickBooks, allowing for real-time communication between your accounting data and your client management software — no matter where your practice takes you. 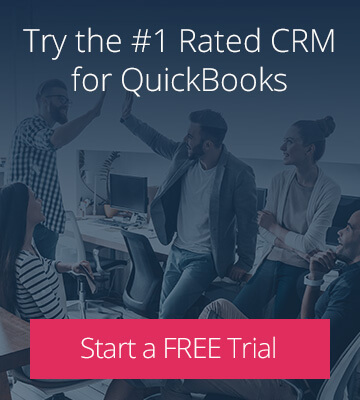 To see how a QuickBooks CRM can empower you to streamline your business and tackle new challenges, sign up for your free 30-day trial. Ready to get started with an accounting CRM?